We tend to take textiles for granted because they are so pervasive in our lives. 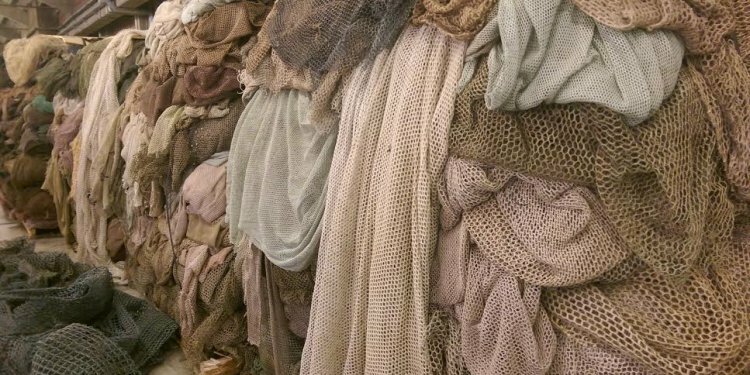 From clothing to interiors, to industrial and medical applications, textiles are fundamental to design. Textile media have also resulted in remarkable works of art. Bast: Fiber from plant stems, such as flax, hemp, jute, ramie. Cotton:Fiber from seed hair of the cotton plant, earliest known in India and South America before 2, 000 B.C. Flax: Plant which produces the bast fiber used to make linen yarn and cloth; originated in the Mediterranean region; earliest known use by Swiss Lake Dwellers c. 8, 000 B.C. ; has a natural "s" twist. Cotton: Fine vegetable seed hairs or fibers which surround the cluster of seeds to which they are attached; Grown in warmer temperate and tropical regions for the fine white (sometimes brown) cellulose fiber. Originated in India; oldest documented use in India (Mohenjo Daro) c. 3500 B.C. and Peru c. 3, 000 B.C. Cotton has a natural "z" twist. Linen: Term for yarn and cloth made from flax. Sericulture: Term for the process of raising silkworms and producing silk yarn from their cocoons. Silk: A continuous protein filament secreted by certain larvae in order to make their cocoons. The species Bombyx mori is the variety most commonly cultivated, as it produces especially fine, lustrous, white fibers. Silk production was developed in China c. 2700 B.C. Tussah is a variety of silk derived from a species of wild silkworm; the texture of the silk is rougher, the color is tan to brown, and the silk dyes less easily than commercial silk. Spindle: A slender rod which is rotated in order to twist fibers into yarn. A drop spindle has a weight at one end to improve its rotation. Spinning wheel: device used to twist fibers into yarn, in which the spindle is turned by the use of a wheel. Charka wheel: First type of spinning wheel, developed in India c. 750 A.D. in which a the spindle was attached to a frame and rotated by means of a wheel with a handle. Great wheel or Jersey wheel: European version of the Charka wheel; larger in size, and operated while standing. Saxony wheel: Treadle operated spinning wheel in which the spindle is equipped with a device called a flyer. Developed in Europe at the end of the 15th century, the saxony wheel greatly increased efficiency. Twist: Term for the procedure essential to the spinning of yarn from fibers. Twist may be "s" or "z" (see diagram). Certain fibers spin better in one direction because of their own natural twist; Flax spins tighter in "s" direction and Cotton spins tighter in "z" direction. Wool spins equally well in either direction. Direction of spin may also be a cultural habit of the spinner that can aid in the identification of historic textiles. Wool: Usually refers to the fine, soft, scaly fibers covering the skin of sheep, although it may occasionally be used as well to refer to the hair of the Angora goat (Mohair), the Cashmere goat, the Camel, and the Alpaca, or Vicuna (animals of the Andean plateau). Sheep were first domesticated in prehistoric times in Central Asia, and the use of wool textiles was widespread in ancient times.